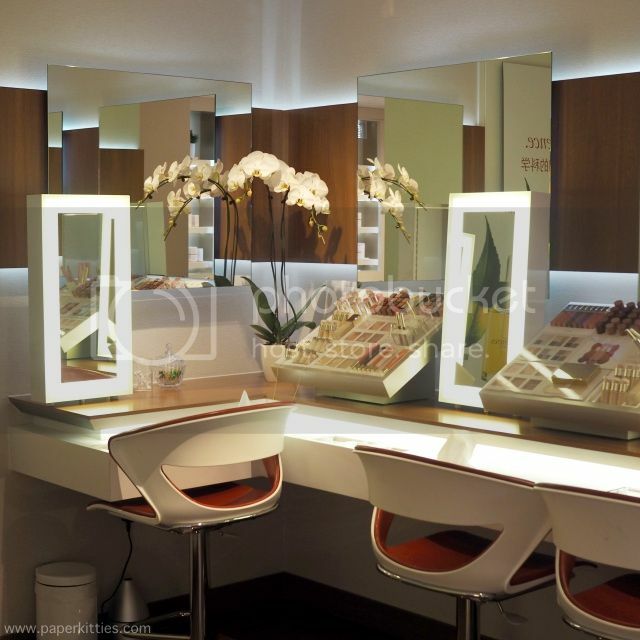 After my hot and cold treatments at Halley, I’ve decided to make a last minute decision (just one day prior to the wedding) to pop down to Clarins Skin Spa at Wheelock Place for some help with my curves. Tucked away at a cozy corner at Level 5, the tranquility of the place makes me wonder if I’m still within bustling Orchard Road at times. Above is the restful lounge where I waited for my therapist to prepare my room. 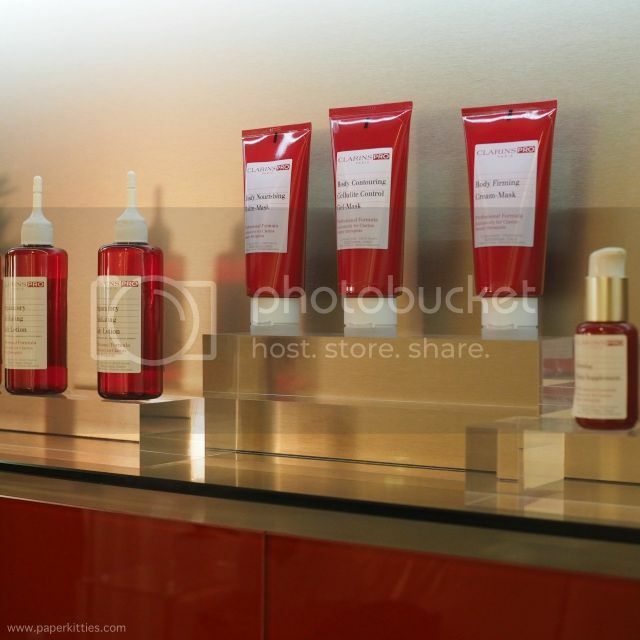 Love how the interior screams of Clarins signature colours – red and white; and most importantly, no screaming kids (min. age is 16 to enter) and uncouth loudmouths. The whole waiting area was so peaceful, I could easily spend my afternoon lazing around, undisturbed. 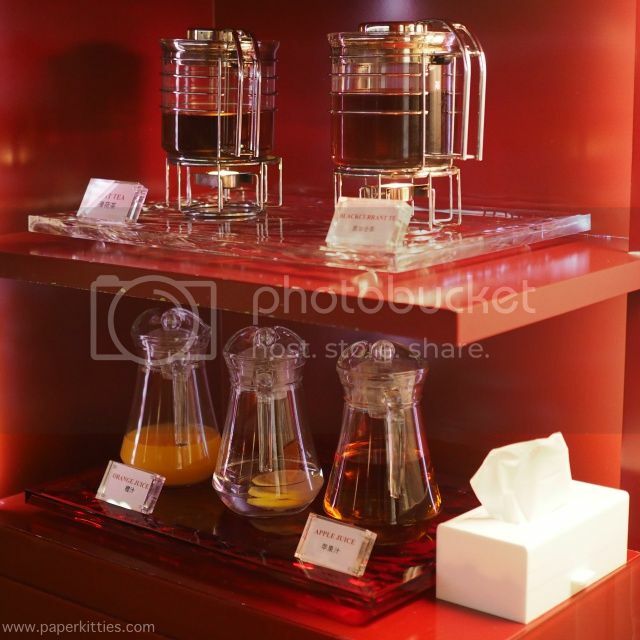 Tea and juices for you? Before we get down to business, my therapist went through a series of Q&A to better understand my needs and the ideal treatments to recommend. In an attempt to “unbloat” my bottom half for fear of not pulling off my mermaid gown (since my time of the month is near), I needed a little help to tone up and rid my bloat, though a little too late! 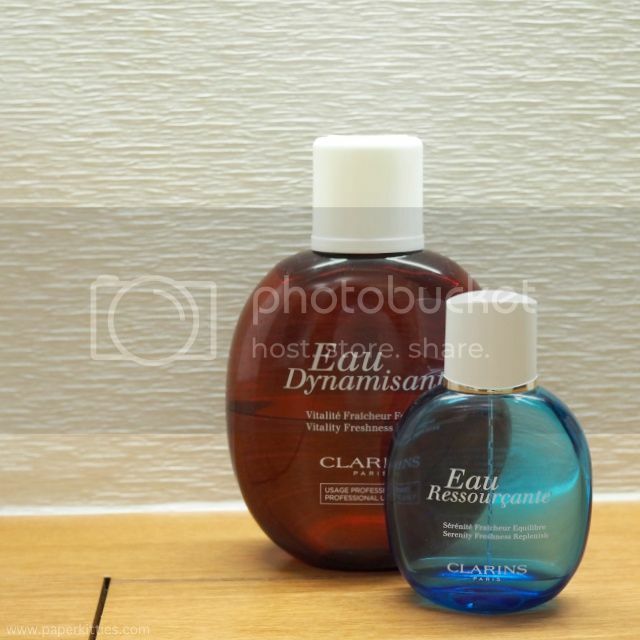 Unlike most beauty related spas where they tend to use the same products that are sold over the counters, Clarins only use exclusive formulas for all their treatments for better efficacy! 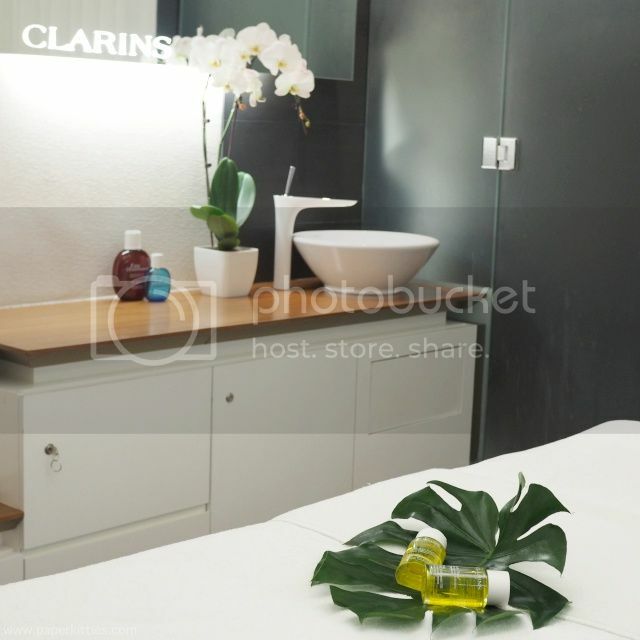 These CLARINSPRO products are specially formulated for the expert hands trained in the Clarins Touch massage method whilst the products we buy at Clarins counters are ideal for maintenance so as to prolong the results after the treatment! For my case, my therapist recommended Stubborn Curves Solution to help streamline, firm and improve the appearance of stubborn curves on the abdomen and waist, hips and arms. One key part I would like to note is of how my therapist started our session by applying warm oil to hands and feet followed with a breathing exercise: instant stress reliever! Just what I need! To sum it up, I felt the duration of the treatment (60mins) were just perfect where my therapist worked the products into my troubled areas all with her sense of touch (aka massage).